Combine the first four ingredients into the bottom of a mug. Garnish with lemon or a cinnamon stick (if you have one). While the hot toddy’s origin is often ascribed to Scotland, the root behind the name is possibly a little more exotic. It may date back to a 1600s Hindi word “tarrie,” which referred to a beverage made of fermented palm sap (the ‘r’ sound was similar to an English ‘d’). It could have also have evolved from the Sanskrit word, “tala-s,” which indicated a drink made of liquor, hot water, sugar and spices, which was first recorded in 1786. Somehow, this potentially exotic—if not surprising—mixture of hot water, booze and sugar eventually found its way to the cold, stony shores of Scotland. 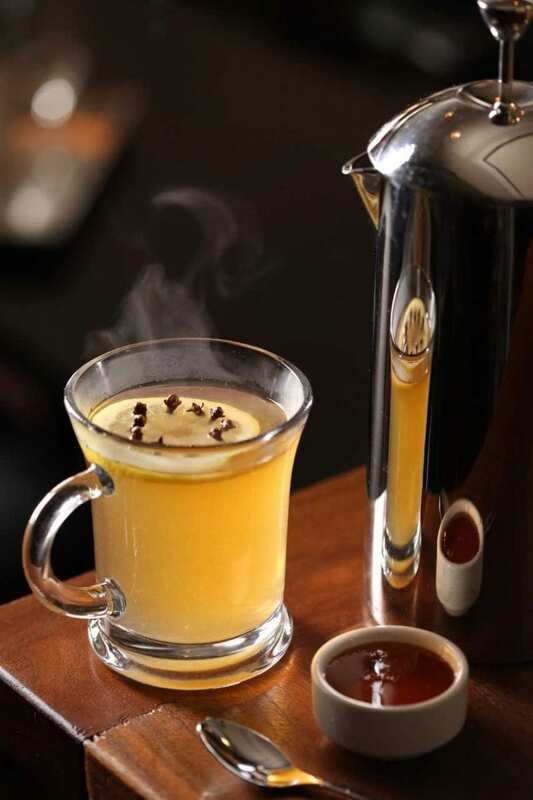 The hot toddy is a deceptively complex drink. At the most basic level, it’s little more than spirit, water and sugar, but it can be so much more. The variations beyond its essential elements are endless, and it’s a lot of fun to experiment with different additions. Like many ancient drinks, the toddy’s origins were most likely medicinal in nature, but as the seasons turn and the days grow colder, the toddy still remains an effective cure against long, dark winter nights. As we said, there are endless variations of the hot toddy, but we’ll start you off with one of the classic, well-loved recipes. If you want to spice it up with additional ingredients, we won’t stop you, but this is a pretty good place to start.